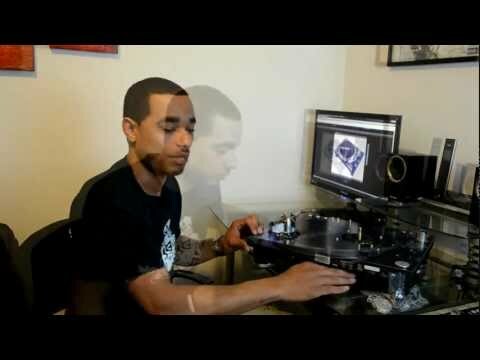 Sampling is an important part of any DJ’s craft, and there’s no way to replicate the unique sound quality you get when you take your samples straight off a vinyl record. DJs demand far more out of their turntable than your average home listener. The unit has to be durable with a strong tonearm and a motor that generates just the right amount of torque—and all of these specialized requirements don’t always come cheap. If you’re looking to upgrade your equipment, you’re probably hoping to find one quality turntable that can do it all. The turntables on this list will all serve you just as well at your gigs as they will when you’re preparing and sampling your tracks at home—and all of them cost are reasonably priced, meaning you’ll be able to improve your set-up without killing your budget. While a lot of DJs still prefer analog turntables, digital turntables can give you the same sound quality and functions that just aren’t possible on an analog turntable. On the Stanton STR8-150, thee features include key correction and pitch adjustment of up to 50%. It also has all the features you’d expect from a professional model, including dual start/stop buttons for battling and a skip-proof straight tone arm built to stand up to scratching and sampling. The motor in this baby (see full specs) gives you an industry-leading 4.5 kilograms of force per centimeter, which combines with the ultra-stable platter to give you fast, accurate sound reproduction every single time, without interference from the outside vibrations of the club. 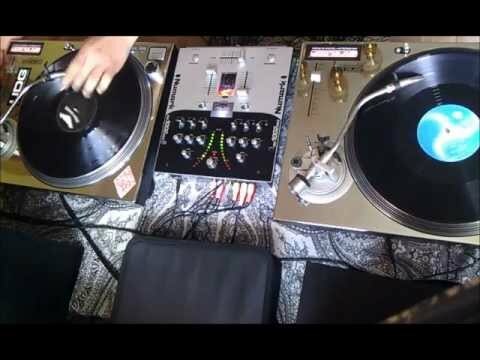 Hands down, this is among the best DJ turntables around. The PLX-1000 is an old-school direct drive turntable from a company best-known for pushing the digital revolution—a combination that gives you analog technology for a modern world. The turntable (see full specs) has a pure analogue signal path fed directly to the body from the tonearm, giving you the true, pure sound reproduction that sends you sampling from vinyl in the first place. The motor has just the right amount of torque for spinning, has a quick start up time—and it’s durable, one very important consideration in a DJ turntable. The overall experience is very similar to that of Pioneer’s high-end 1200 model but a lower price tag, giving you more bang for your buck. 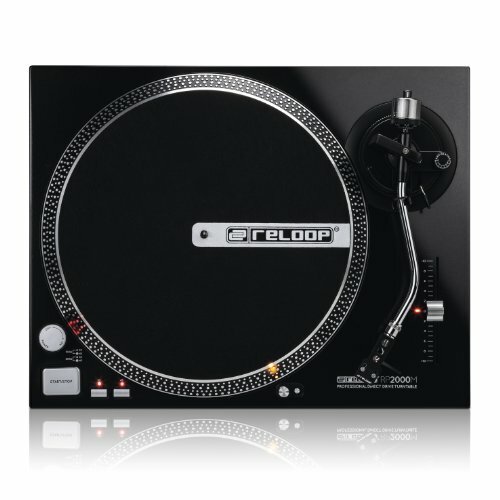 The RP 200-M comes from Reloop’s catalogue of professional turntables. Reloop is a relative newcomer to the DJ turntable market but they’ve already started turning heads for their innovative design that keeps the musician and the sound quality at the center of its design. The direct drive system is quartz driven, with a static-balanced S-shaped tonearm and a sleek all-metal black casing. The start mechanism gives you to-the-second accuracy that’s perfect for sampling. Rounding out its features are a high-torque motor and an electric motor break, giving you complete control over your sound. This should be on anyone’s list of the best turntables for sampling. 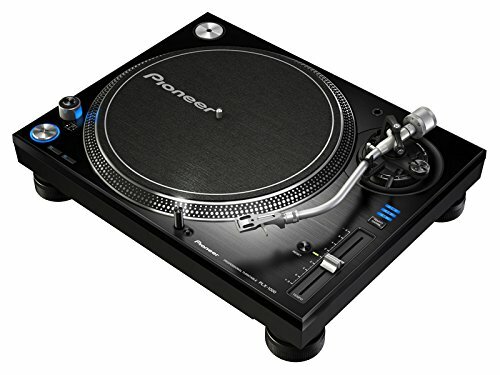 The three turntables above are fully-functioning DJ turntables that let you scratch as we as sample, but if you’re just using the turntable for sampling and you’re on a budget, you can get away with using a much more affordable piece of equipment, like this Vibe Sound model, that sells for a great price. 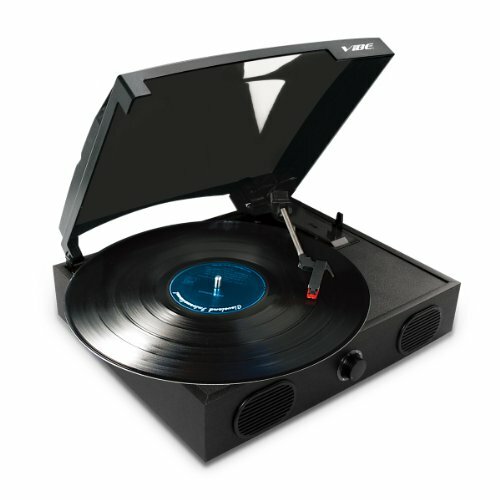 It’s a USB turntable that can easily convert vinyl to mp3. The needle gives you an accurate sound reproduction—perhaps not so subtle as the turntables above, but impressive considering the dirt-cheap price. If you’re on an extreme budget, this just might be the best turntable for sampling you can buy. More so than any other style of musician, DJs have to cope with the quickly changing music technology—something that can both be a benefit and a complication, especially when it comes to buying new equipment. A decade or two ago, the DJ’s set-up was more standardized, and two high-quality turntables hooked into a mixing board were the bare minimum of what you needed to start performing. 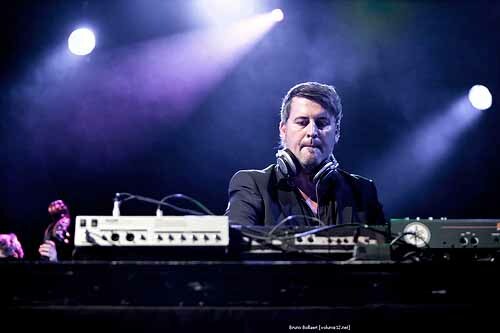 For the modern DJ, computers and MIDI controllers have gotten more advanced, and digital music formats are more viable options for mixing and sampling. Most professional DJs will still have a fairly complex set-up for mixing and mashing up tracks during their show, but if you’re just starting out and you’re on a budget, you can use technology to your advantage. You can find a plethora of mixing software options on the market. Some of these cost money, but a good portion of them are shareware, meaning they can be downloaded and used for free. Using mixing software on your laptop instead of a traditional mixing board can save you a lot of money on your initial investment. Figuring out these details of your set-up before you invest in a turntable can save you a lot of headaches down the line. The vast majority of turntables will be able to hook up to a traditional mixing board, but not all of them can be easily connected to a digital set-up. The role of your turntable in your set-up will also tell you how many you need to buy. If you’ll be using a combination of analog and digital music and will be using the turntable just for samples and occasional scratching, one should be enough; if you want to use mostly analog tracks, you’ll need two. 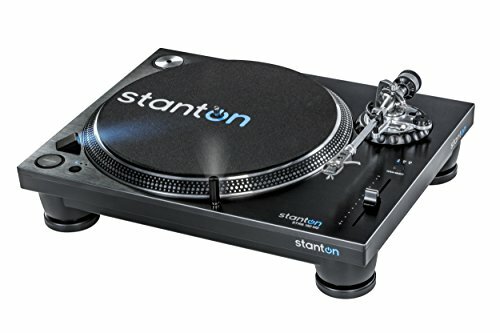 The most important characteristics of a DJ turntable are a solid construction, a high-powered motor that can give you a lot of torque, and an accurate needle that tracks consistently and gives you good pitch. Generally speaking, more simplified turntables are better for DJ’ing than ones with a lot of bells and whistles, but there are a few extra features that you might find helpful. Consider how many start buttons the turntable has. Some come with two, on opposite sides of the deck; others only have one. You’ll be most likely to miss the second start button if you battle, but having two also makes the turntable more adaptable to a variety of set-ups and configurations. A lot of people prefer to manipulate the pitch on their mixer as opposed to their deck, but having an on-board pitch slider or pitch lock can help you to fine tune the sound from the source. Just like any musical instrument, there’s no one right answer when it comes to the best DJ turntable. It’s a personalized decision, influenced by your mixing style and your intended use for the deck—and, of course, your budget. If you know what you want out of your turntable before you buy it, it’ll be a lot easier to figure out which model is right for you. Good luck!